VIAD 1D Immaculate. Beautifully decorated and appointed condominium with unobstructed Ocean and Lagoon Views on the quiet west end of the island in an upscale community. 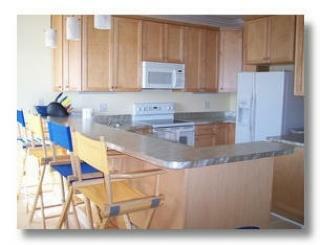 Home is located directly across the street from the beach access; a lovely, quiet, wide, family oriented beach. 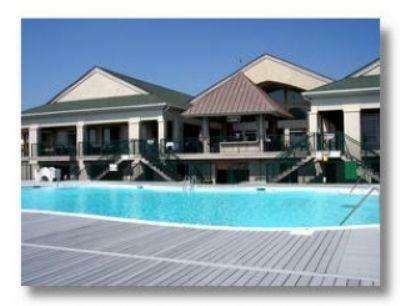 A short walk on the beach brings you to the community club house, ocean side pool, restaurant, and tiki bar. 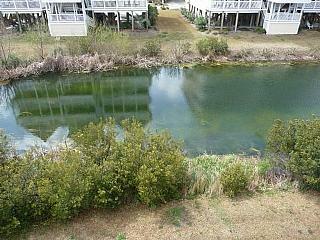 The home is 1 mile from one end of the island where the ocean meets the Intracoastal Waterway. Great fishing, shelling, and bird watching abound. A lovely walk in the opposite direction brings you to the Island's public pier and the town center. Restaurants, beach shops, hand made ice cream, and other family activities are available. The home is approximately 1800 square feet with 4 bedrooms and 4 baths. There is an open floor plan and most rooms have gorgeous ocean views. There are large decks with lovely ocean and lagoon views. The kitchen is fully equipped, floors are ceramic tile and carpet, all rooms have ceiling fans and there is central heat and air. 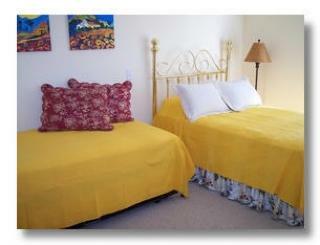 All rooms have large windows or French doors for views and beautiful ocean breezes. The great room is spacious with plenty of comfortable and attractive seating. 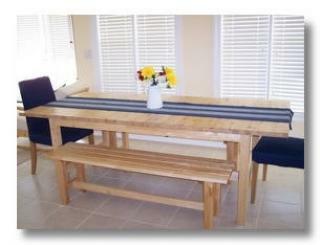 It has a commodious dining table, breakfast bar, Wet Bar, game table, stereo with CD and cassette, and cable TV with DVD. The sunflower theme is cheerful and bright. Each bedroom has its own full bath and unique d?cor. 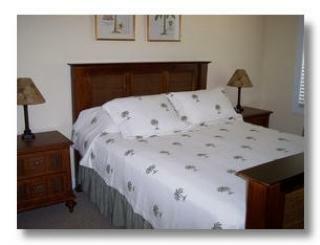 One of the two master bedrooms is decorated in a Bahama style: Palm Trees, mahogany and rattan, bamboo. This room is equipped with a Queen bed, TV, shower with bath, microwave, and mini refrigerator. 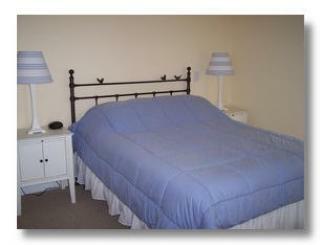 The second master bedroom has a cheerful, whimsical blue and white d?cor. 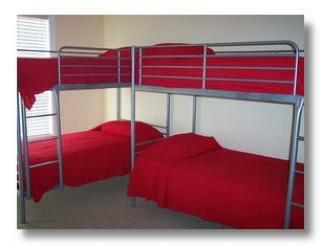 It is equipped with a Queen bed, TV with DVD, dual sink vanity, shower, and Whirlpool bath. The third bedroom is equipped with a double bed and two twin beds (trundle daybed), French doors, personal ocean view deck, and full bath with shower. The fourth bedroom/bunk room is designed for the kids; it is equipped with two sets of sturdy bunk beds, two dressers, a TV with DVD and front accessory connections, and a full bath with shower. The condo has a large deck with ample deck seating. Guests have access to the club's ocean front pool and tiki bar. 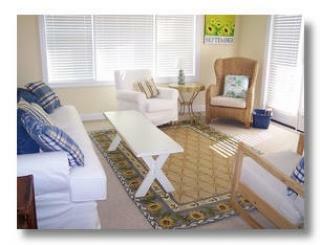 Guests can bring their own linens and beach equipment or all necessities can be arranged locally. Linen services, umbrellas and chairs, bikes, rafts, and many other amenities can be arranged locally. 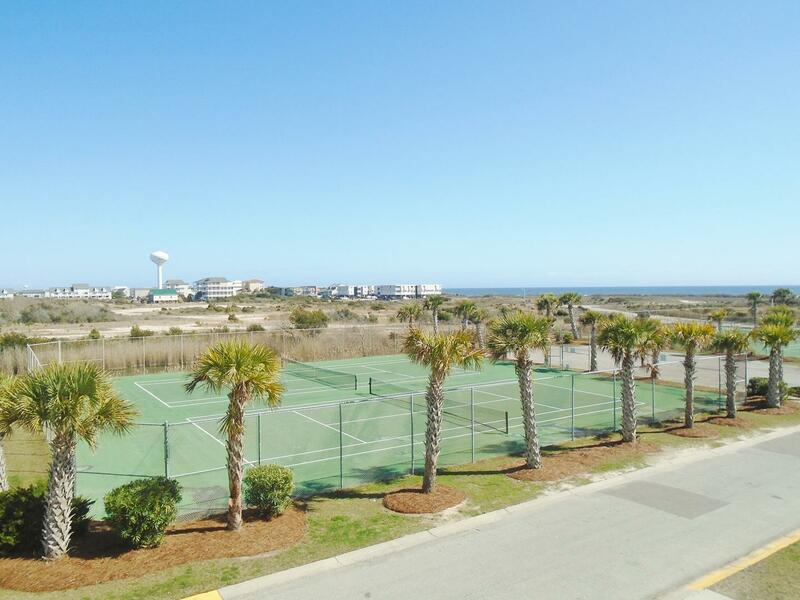 The OIB, Shallotte, and Calabash areas are family oriented with many activities. Golf many public courses of all skill levels. Enjoy golfing courses of every style including the Arnold Palmer course at Rivers Edge. Other activities include charter fishing from the Fishing Center on the island or others in Calabash. The USS North Carolina is available for tours in Wilmington. 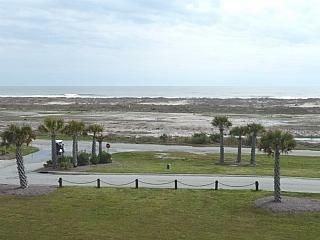 South Port offers shopping in a lovely historic seaport as well as the launch of the ferry to nearby Bald Head Island. Restaurants are many and varied. Great seafood right on the island at Sharky's and The Ocean Isle Fishing Company. Off the island, the world is your oyster! Just over the causeway, Caribbean at the Sugar Shack and a little further The Provision Company, San Jose, and many others offer anything your heart desires. The home is equipped with a guidebook for food and activity ideas. 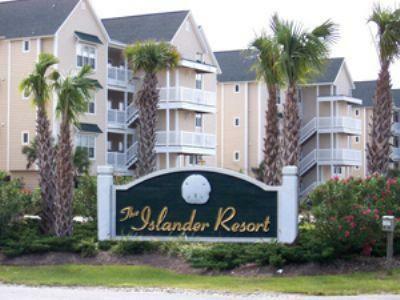 If you desire even more activity and some nightlife, the resorts of North Myrtle Beach and Myrtle Beach are a short drive south of your home base of OIB.